The best part of Boric Acid is that it wont harm Hum and Pets but very effective to small insects like Cockroach. 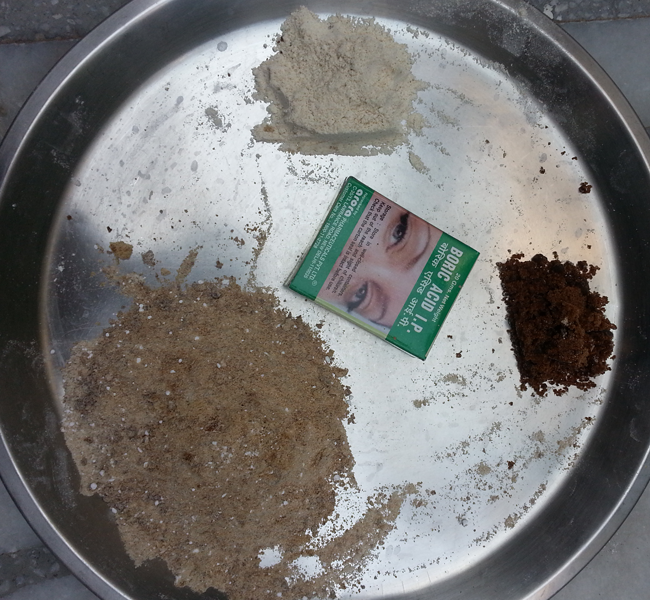 I use to create small bolls by mixing Boric Acid, Sugar, Atta flour and put in the hidden places of the kitchen, this help me to kill all Cockroach and this treatment work for months. The effect of Boric acid is not instant but over one to for week your will see difference. The cost of this treatment is just Rs 30 to Rs. 50. Mix 20 gram Boric acid + 10 gram Sugar + 50 gram Atta flour + some water and make small bolls as shown in the figure.